To a Miami-born rabbi and the Muslim mayor of an Israeli Arab city near Jerusalem, peace between their two peoples is possible, whether or not politicians ever reach a treaty between Israel and the Palestinians. 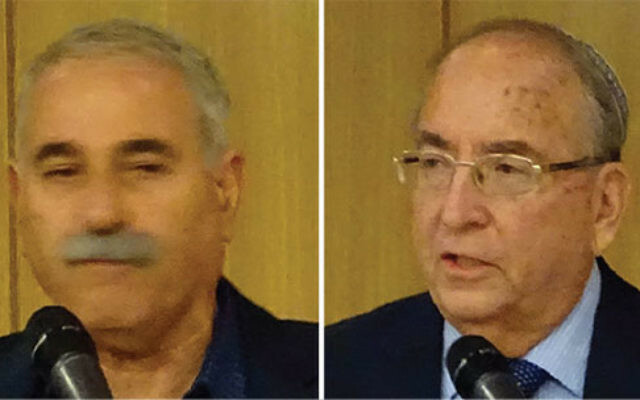 For more than 10 years, Reform Rabbi Ronald Kronish and Mayor Issa Jaber of Abu-Ghosh have worked together to foster dialogue between their two peoples. Kronish, who has lived in Israel for 37 years, is the founder and director of the Interreligious Coordinating Council in Jerusalem. An arm of Rabbis for Human Rights, its mission is “to harness the teachings and values of the three Abrahamic faiths” in pursuit of reconciliation and coexistence. It is one of several groups dedicated to improving relations between Israeli Jews and Muslims. Jaber, an Israeli-Arab and mayor of the majority Muslim city 10 miles from Jerusalem, has been working with the rabbi for most of the time since the ICC was begun. 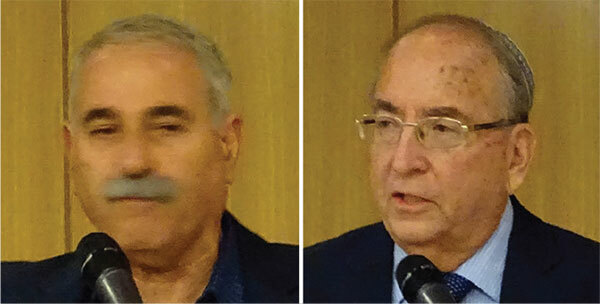 Together they addressed the topic of “Coexistence and Interreligious Cooperation in Israel and Palestine” on Oct. 31 at Chapman Hall on the Drew University campus in Madison. Some 100 people were in attendance. “Peaceful coexistence is our goal. Dialogue and education are our methods,” he said. Rather than seek treaties between nations, his organization works to foster peaceful relations between people of different nationalities. The ICC brings together Palestinian Arabs — Muslim or Christian — and Jews — Reform, Conservative, Reconstructionist, or Orthodox. They speak in Hebrew and Arabic, using professional facilitators to enable group members to listen to one another. “We try to hear each other’s narratives,” said the rabbi. He said Jewish and Arab students typically never hear the other side’s version of history unless they meet at a coexistence program. “Teaching the double narrative is not kosher in Israel these days,” Kronish said. Although the Oslo accords did not bring peace, they did create “a psychological change in the region. There is now a Palestinian people, and even the prime minister of Israel will say that,” Kronish said.